When it's time to celebrate the 150th birthday of something it's to pull out all the stops and make it a really big show! As the Big Brome Fair prepares for the celebration of the 150th annual showing of this wildly popular event the atmosphere in the region is one of palpable excitement! Today marks the opening day of the 150th annual fair and the weather is looking sunny and mild for the long week-end! We're sure to see you there! Since the inception of the Brome Fair in the 1840's there have bee many changes of government, wars, depressions and countless changes in the way people live...but some things have remained constant; the people of the region and their connection to the land they live on. To make this Brome Fair one to remember the committee in charge of the event has decided to put an emphasis on decorating the fair grounds to allow visitors to see a real sense of history. This will involve costumes and some special displays and arrangements on the fairgrounds to help people take a walk through the history of the Eastern Townships and the agricultural tradition. 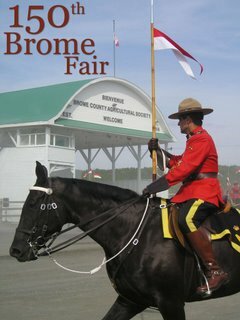 Of course the Brome Fair is about family fun, with free midway rides, music, clowns, magicians, petting zoos, games, food and bingo on site but it is also a serious agricultural show with events and judging taking place in many categories through the week-end. This special 150th birthday bash will also bring the addition of a beer tent for the first time. Traditionally the only beer or alcohol to be seen was at the make-shift get-togethers that tended to pop-up in the huge parking field or stable areas. Surely many a thristy cowboy will be glad to have the chance to saddle up to the bar and have a cold one! Main headliners for this year's fair include Wayne Rostad, famous for his CBC televisionvariety show featuring small towns and interesting Canadian character's, "On The Road Again" who will be performing Sunday at 8pm His sense of humour and down to earth songs are sure to be a hit! On Saturday the main stage welcomes the country group "Emerson Drive" a six-piece group with many awards, nominations and top five songs to their credit. Hailed by the Canadian Country Music Association and Billboard, these tight-knit performers will definately shake things up on Saturday night! Get to the grounds early as there is always long traffic lines heading to the fair grounds. The Brome Fair takes place at 345 Stagecoach Road. 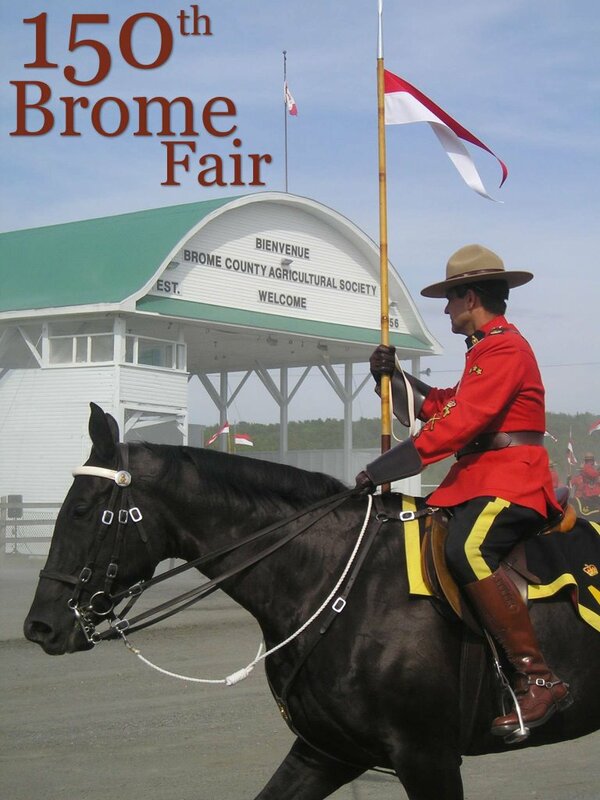 If you are in the Knowlton area and can't figure out how to get to the fair just ask anyone you see...The Brome Fair is all we've been talking about for the last month! DestinationKnowlton.com will be publishing a large photo collection of the event so come back after the dust has settled and re-live some of the magic moments that are sure to take place.